What is Pralin? 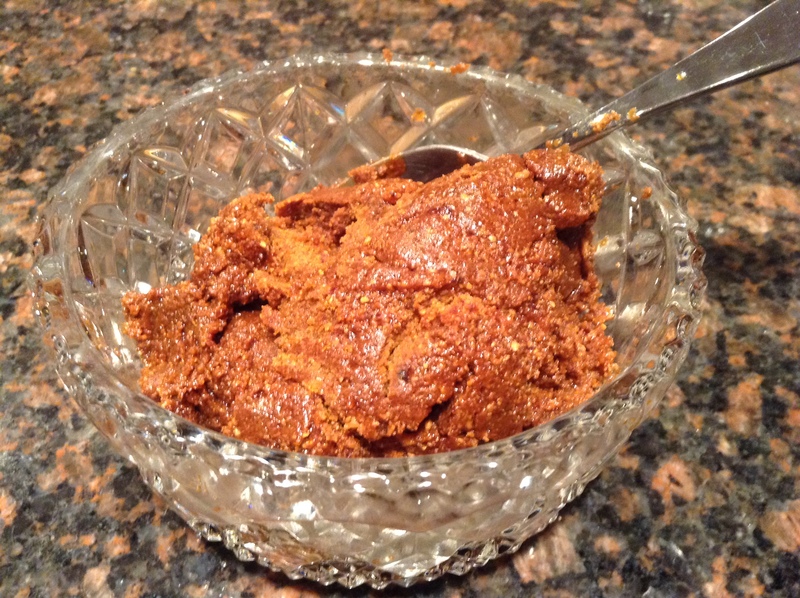 It is like a peanut butter but made with sugar and hazelnut. Pralin is normally used to make the filling of many chocolate truffles and the layers of some European cakes. Pralin is really easy to use. You basically add it to other ingredients to make either layers of cakes or chocolate truffles. You add to chocolate to make the filling of chocolate truffles and you mix it with various other ingredients such as hazelnut oil, feuillantine and chocolate to make a delicious crusty cake layer. In France, pralin can be bought in all the grocery stores. But if you are leaving in the US, it is basically impossible to find it unless you buy it from Professional websites and it can be very expensive. Well, the busy person that I am did not think to look at the ingredients for Lisa’s birthday cake so i was in a bit of jam when I realized that I needed some pralin for the recipe. After googling how to make it, this is what i found. 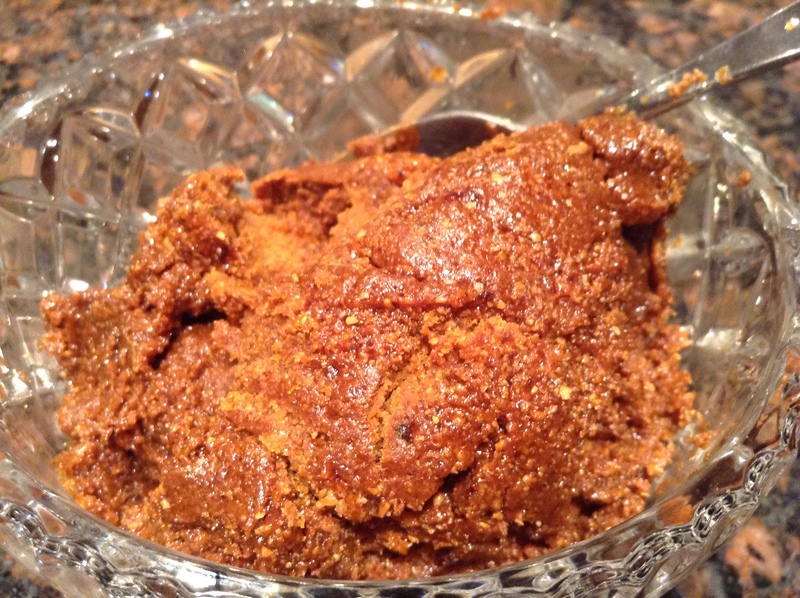 It is perfect and can be made in large batch and kept frozen for later usages. 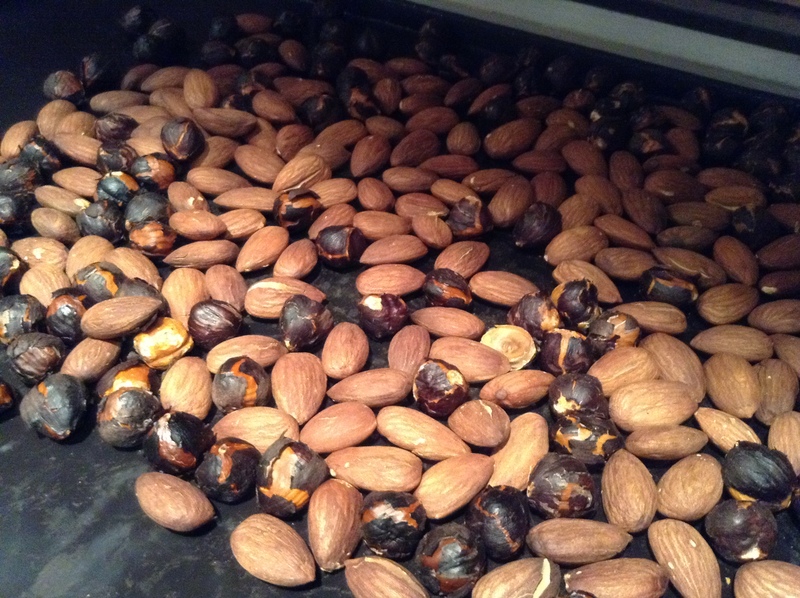 Place the almond and halzelnuts on a deep flexipan and roast them 15 minutes in a warm oven of 400. 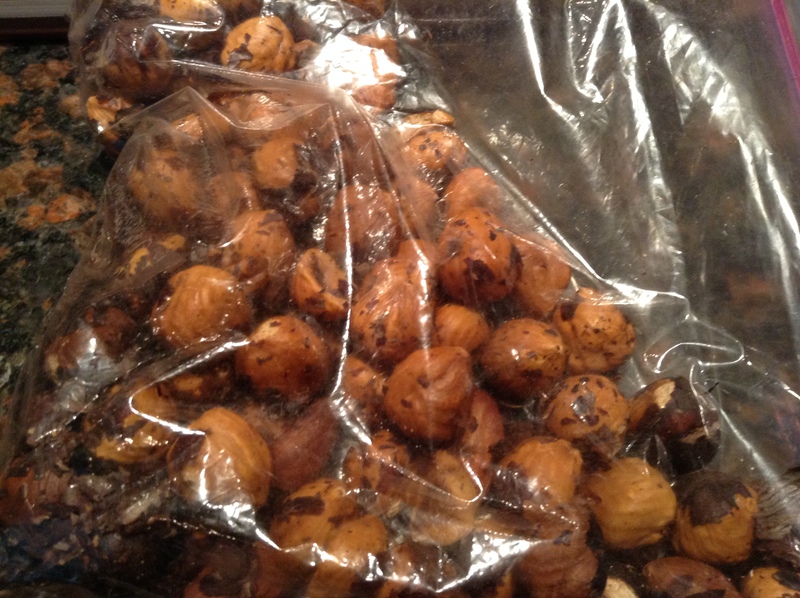 Place them into a plastic bag and rub plastic bags in between your hands to make the skin fall off the hazelbuts. Empty the bag of all the nuts carefully so as to keep the “skin” still in the bag. Set aside. In a small saucepan, cook 200 gr. of sugar over medium temperature until the sugar on the edges of the pan start to turn a golden brown. 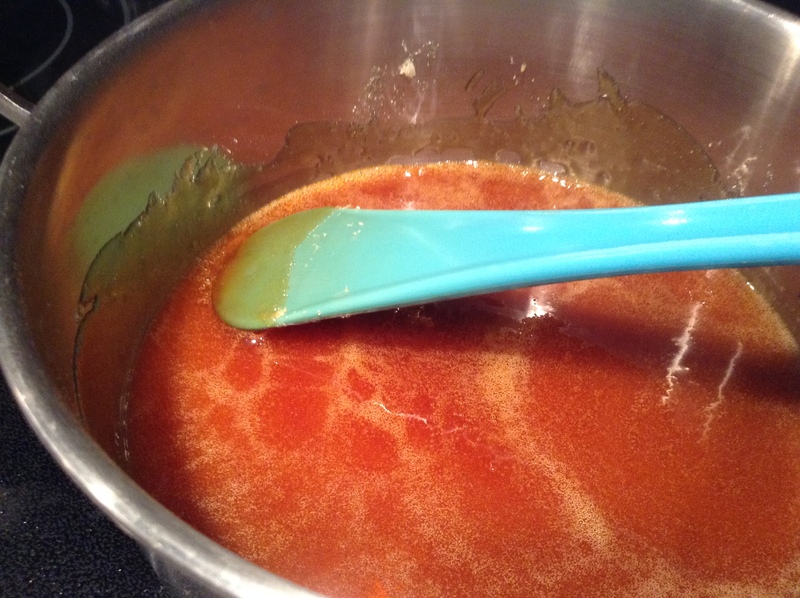 Then with a wooden spoon or a heat resistant spoon, start turning until the mixture is an amber color. 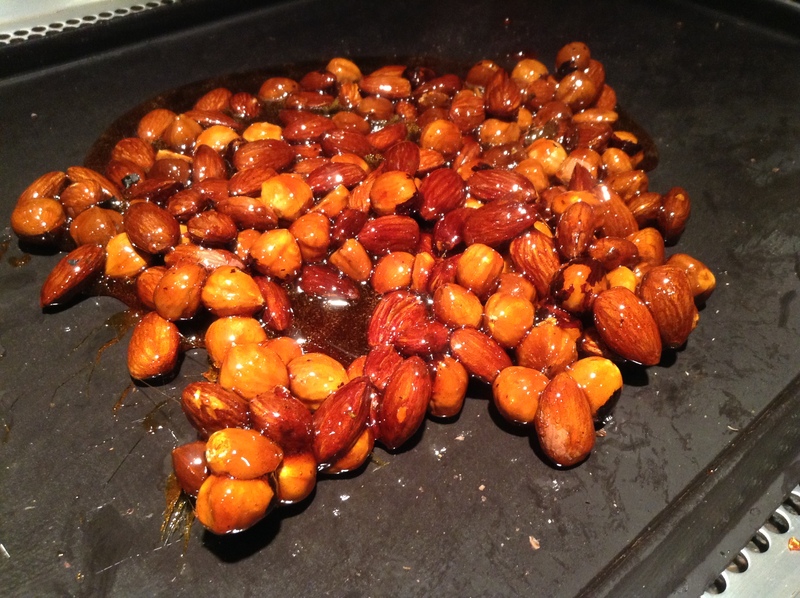 Add the roastd nuts to it and pour the mixture onto the deep flexipat or the silpat to cool. 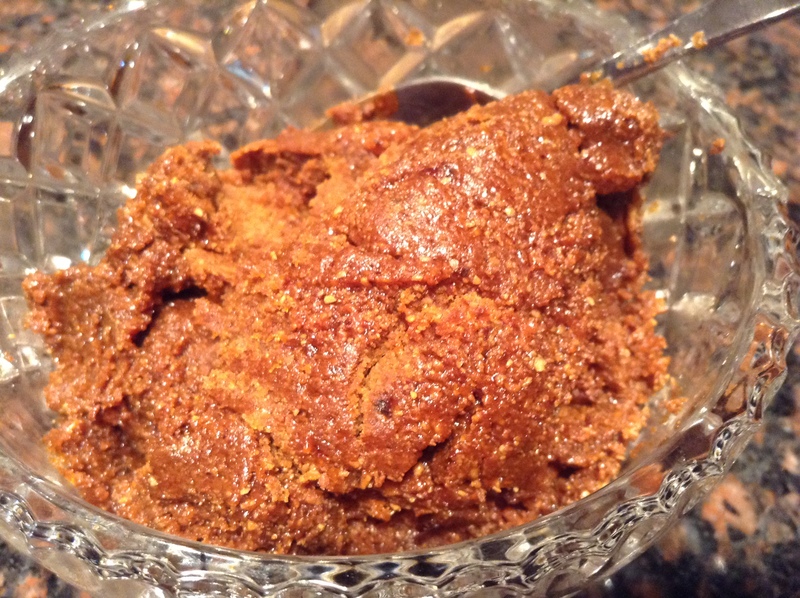 When it is completly cool, place it into a chopper and chop until the mixture is looking like a peanut butter texture. Stop. Use it for your recipe. Keep the rest in a ziploc container in the freezer. It will keep for a long time.